Sorry this weeks dragon post is a little late, life got in the way, as it tends to do. This week, we look at language. Dragons have the ability to speak and also, unusually, write languages, both tongues that humans speak, and their own language. Sometimes called ‘Dragon Script’ or sometimes ‘Draconic’, although the latter can apply to other aspects of dragon life as well. Dragon script is known to be ancient, and is thought to pre-date any human languages, and has been rumoured to be one of the original derivatives of the supernal language, also know as the true or pure language. It is said that the original people who heard the supernal language formed their own languages based on what they heard, since each being heard something different and the languages they created from hearing it show something of the essence of the being that created it. However, despite the obvious intelligence and ancient lineage that having this language shows, they keep it very secretive, so examples of dragon script are rare. Examples that are found are often of riddles or language puzzles, since dragons have a well-known love of both.These are more often than not etched into natural surfaces, rocks, caves and trees than paper, which is good for longevity, but the places tend to be those that only dragons can reach easily, hence why very few examples come into human hands. 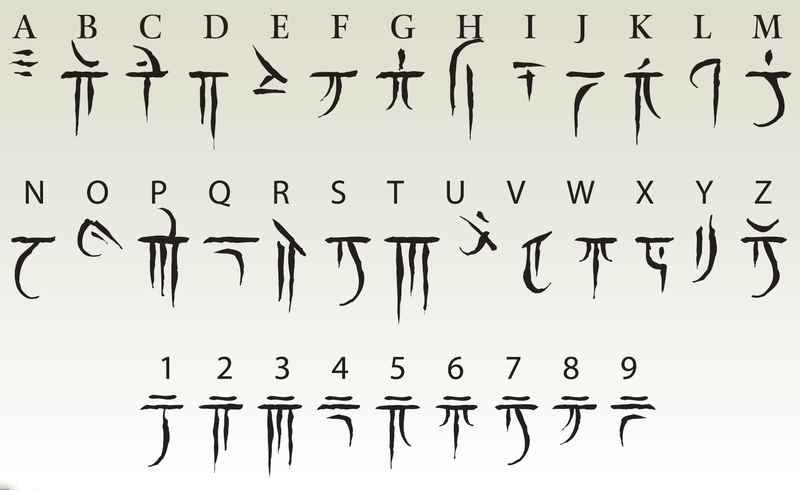 The script itself resembles runes, and uses a lot of straight lines, presumably since this is easier to write with claws. It is also spoken, and when written with english letters uses more constants than are naturally found with native words which makes pronunciation in english hard. Human who are lucky enough to overhear the language, and can get over the grating nature of the hissing and guttural noises, say that much of it depends on the shape of a dragons tongue to speak properly. The language also has something akin to regional dialect, much like humans, but it is mainly attribute to the colour of the dragon speaking it rather than location on the earth. 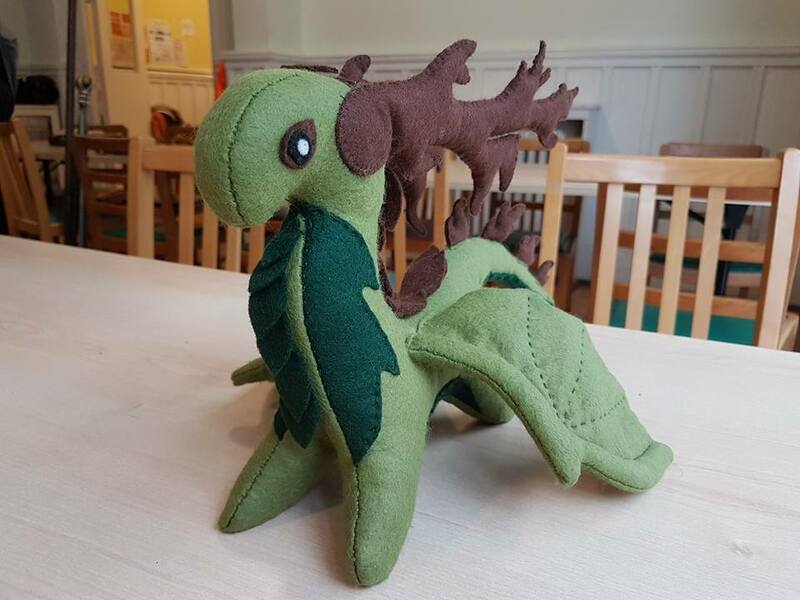 A green dragon speaking sounds different to a red dragon speaking, so if someone were familiar enough with the language, they would be able to discern the colour of the speaker. In writing the language follows the left to right convention that western languages now follows. In some examples of writing that have been found some words have radial lines come out from them, like a sun. This does not seem to have any effect on the meaning of the word or sentence. It has been theorised that it simply means that the word is important. An alternative theory is that it was simply graffiti, much like a young human teenager might dot their i’s with hearts. The last thing to note about the language is that unlike other languages, it has not changed over time. This might be because it has descended from the supernal language, or it might be because of the long life span of dragons, and they can ensure purity of the language. If the last part is true, then the ancestral memories that are imparted to a dragon from their parents whilst still in the egg is thought to play a large part in this as well. Neat! Did you design the “dragon letters,” or what is the source? I just joined the site, I am in love with dragons and is currently play the best dragon game Istaria, I also am practicing the dragon language and its magic. I enjoy finding this site. Have a great night! what about the number 0? You know, I’m not sure. Maybe, like the Romans, they just don’t have a symbol for it!